1. How does Mobile Midwife EHR differ from other EHRs for Midwives? 2. In the case of a transport or co-managed care, is there a way to fax my chart to the doctor or hospital? 3. Is it possible to add or remove fields in Mobile Midwife EHR? 4. If I am co-managing care with a doctor, is there a way to upload the doctor's chart to my client's chart (on your app)? 6. Does it matter which iPad or iPhone I have/purchase? 7. Will there ever be a version available for the PC or Android tablets? 8. Is there a client access portal that clients can use to fill out their paperwork before their first Prenatal? 9. What if I need Mobile Midwife EHR in another language? 10. Is Mobile Midwife EHR secure and HIPAA compliant? Still have questions? 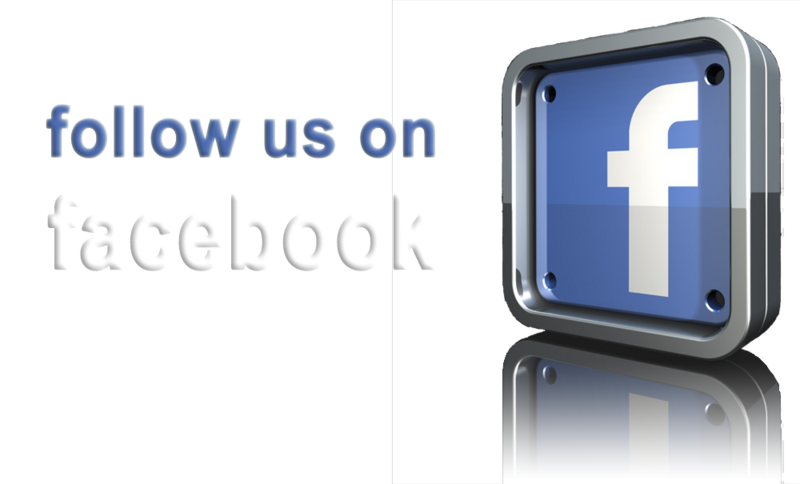 Visit our HOW TO page, Call us or follow us on and join our facebook group to read or post questions. How does Mobile Midwife EHR differ from other EHRs for Midwives? Since Mobile Midwife EHR is an iPad and iPhone app with a cloud, your data is always with you AND always backed up to a secure cloud location. Therefore, it works even without an internet connection. Not having your client's lab results, medications, allergies, etc. with you at ALL times can be a real liability and danger for mom and baby. If you are at a home birth or hospital transfer where there is no internet access, or you are at a birth center and there is a brown out or internet outage, Mobile Midwife EHR works just the same. Another major difference between Mobile Midwife EHR and web-based solutions is that you can truly go not only PAPERLESS, but you can possibly toss your scanner and printer (or just place it in the attic where all your other old technology gathers dust). This is possible for several reasons. The first being that the client can write their signature on all of the documents and consent form right on the iPad or iPhone. This is a legal signature, not drawn with a mouse or electronically generated, it is their actual signature. So the client will not only fill out all their info and write their signature on documents, but they are directed to take pictures of themselves, their driver's license and insurance card! One more major benefit of Mobile Midwife EHR is that since it is an app there are no delays when switching between tabs in the app. You can quickly tap through the application with almost immediate response time. WiFi or Internet outages will not slow you down! Virtually no medical professionals rely on an EHR that is dependent on something as unstable as the internet. The internet can go down because of radio interference, local power outages, power outages anywhere between your city and the city the web servers run, routine maintenance by your ISP, maintenance or unexpected hardware failures on the web servers, weather, acts of terrorism and so much more. It's just a matter of time when a situation presents itself where there is no internet access and a life or death need for your patients' records. Mobile Midwife is more secure then web-based solutions. At Daly Enterprises, Inc we have built and host many websites for many companies. We know firsthand that nearly 50% of all web traffic is from hackers trying to break into websites to get YOUR identity information. They have very sophisticated automated password crackers that attempt to guess your passwords day and night. Exposing your information to the internet allows billions of people on the planet to potentially steal your data. There are countless viruses that spread to millions of computers every day that track every key you press on your keyboard to capture your passwords. We can go on and on about the security issues with both the PC and the internet but you probably get the picture by now. There has never been one single virus on an iPad. That means no hacker is catching your keys or reading your cookies or taking screenshots of your computer. No hacker can break into your web-account, because you don't have one! If a hacker were to steal your iPad, you can log into www.icloud.com and erase all of the data on your iPad with a click of a button. You definitely can't do that with a laptop! In the case of a transport or co-managed care, is there a way to fax my chart to the doctor or hospital? You can print, fax, or email any client record by pressing the action button located in the upper right corner of every screen in Mobile Midwife EHR. A form will appear that will allow you to select which areas of the client record you want to be exported. For instance, you can choose to send just labs, a specific prenatal, the entire labor flow or just a birth summary. The best way to fax a client record is to sign up with any electronic faxing service such as Ring Central, eFax, Faxage.com and our recommended favorite Hello Fax. It works by simply using the Email feature in Mobile Midwife to email the client record to [faxnumber]@HelloFax.com. HelloFax will then email a confirmation when the fax successfully sent or if there was an error. Is it possible to add or remove fields in Mobile Midwife EHR? Yes, you can! We designed Mobile Midwife EHR with flexibility in mind. You can add or remove several fields to any of the forms for no charge. We can add text boxes, drop down boxes, stepper controls (number fields with + and - buttons), Yes/No buttons (you can pick any text other than Yes or No such as Normal/Abnormal) and more. You just tell us what form you want it on and after which other field you want it to be placed on that page. You can also create your own document templates by emailing a PDF to yourself and then opening it in the Templates section of Mobile Midwife EHR. Then you can drag & drop text boxes, check boxes, signature boxes and initial boxes anywhere on the document. Then if you define that template as a Standard document, it will be presented to patients while they follow the 6 step add client process. If I am co-managing care with a doctor, is there a way to upload the doctor's chart to my client's chart (on your app)? Yes, you can email any PDF document to yourself. Then open that email on the iPad/iPhone and then tap or tap & hold to open the PDF attachment in Mobile Midwife EHR. You can then attach that PDF to any patient by navigating to the Documents tab under the patient and pressing the "add document" button. Yes, Mobile Midwife EHR integrates with your Contacts and Calendar. At the press of a button you can add each client to your contacts with their picture, phone numbers, EDD, partner's name, birth date and more. Also, a calendar icon is located at the top of the screen when in the visits section. When you press the calendar button it will show upcoming appointments let you create an appointment on your Calendar. You can use the standard Apple iCloud calendar however we recommend setting up a Gmail address and using the free Google calendar because of its robust sharing features and appointment reminders. Once you configure your Calendar under the iPad Settings->Mail you will be able to schedule and view appointments from within Mobile Midwife EHR. Does it matter which iPad or iPhone I have/purchase? Mobile Midwife EHR will work on any iPad device. The basic WiFi-Only iPad on Apple's website is only $329 and is lightening fast and has more space than you will ever need. The iPad Pro 10.5" is the best iPad Apple offers, but is only marginally better than the basic iPad and costs twice as much. Mobile Midwife now also works on all versions of the iPhone, from iPhone 5 to the iPhone XS Max. It is custom designed to make best use of all the available screen space on each device. This makes for an amazing experience so you can chart efficiently at a labor if you forget your iPad. If you are at a restaurant or shopping and you get a text from a client, no problem! Even if you have a weak data connection you can instantly pull up any chart because all your records are stored securely on your iPhone and in the Mobile Midwife cloud. Will there ever be a version available for the PC or Android tablets? Being iPad based enables Mobile Midwife to be a paperless solution with built-in scanning and document signing. It is also what enables our app to be fully functional even when no WiFi is available which can be very important during a home birth or hospital transfer. A tablet is also much more transparent then a laptop during a prenatal visit or labor. It’s also always with you and very portable. Our tablet based graphical interface enables you to chart entire prenatal visits without typing a single word. By taking advantage of touch gestures, multi-selection and touch screen controls Mobile Midwife captures nearly every bit of information in an intuitive manner that is almost transparent so you can focus on your client instead of a mouse, keyboard and computer screen. While we could enable functionality in our existing web-based client portal to provide total access to your Mobile Midwife client records, this is not safe. To have hundreds of client records with private health information, birth dates, address, phone numbers and social security numbers all behind a single user name and password is a recipe for disaster. Mac and PC computers are FULL of viruses, spyware and malware that read your file data, capture your keystrokes, and take screenshots and send them to hackers. As opposed to the fact that there has never been one single virus on an iPad. It is our opinion at Mobile Midwife EHR that computers that are exposed to the World Wide Web are unfit for EMR/EHR applications. Nearly every professional EMR/EHR (not the free ones) on the market today are installed in the Hospital or Doctor's offices with no way to connect them to the Internet. Many businesses today such as banks, insurance companies and even retail companies such as Home Depot or Fed Ex Kinkos no longer even run internet access to the building. There are many who believe that computers, internet and email as we know it will be no more in a matter of years and replaced with tablets, apps and clouds that are more secure, safer and hacker proof. Android tablets are insecure for much of the same reasons that PCs are insecure. Read why Android malware is on the rise. Their file system is open for any App to read. Any App can do almost anything such as take screenshots, capture keystrokes, read another Apps data or monitor your web traffic. Apple's iPhone and iPad on the other hand are locked down and each App operates in its own sandbox. Also, no App can be installed or even copied to the file system without going through the rigorous Apple App Store review process. Finally, the stability of the iPads operating system is far superior to that of the Android and stability is a number one priority for any EHR/EMR software company. Is there a client access portal that clients can use to fill out their paperwork before their first Prenatal? What if I need Mobile Midwife EHR in another language? If you need Mobile Midwife EHR in a different language then simply ask! If we do not already have the translation, we can provide you a spreadsheet of all the fields in Mobile Midwife EHR (there are only a few hundred) and you can provide the translation. Then within a few days we can update our app to support your language. Is Mobile Midwife EHR secure and HIPAA compliant? Security is one of the primary reasons we created Mobile Midwife EHR. The primary reason for building Mobile Midwife EHR was to offer electronic charting software to Midwives that did not NEED an internet connection at all times to work. However, the second reason is because we knew that web-based EHRs are not very secure with regards to guarding social security numbers and private health information. No other websites such as banking, credit cards or loan services show more than 4 digits of your account number and they certainly will not show your SSN or birth date on a webpage. However, web-based EHR/EMRs are doing this and it is not safe. Thousands of Bank, Credit Card and PayPal logins are hacked into every day even though these websites use the absolute best in government security standards available. Web-based EHRs need to do more than requiring a username and password to access hundreds of patient records. One of the clients we serve is one of the big four banking institutions in the world. We implemented a two-factor authentication mechanism to safeguard private information. The first layer was the normal user name and password login. The second layer is that the user is required to install a special certificate on their computer that the bank issues specially just for them. However Mobile Midwife EHR is not web-based and cannot be hacked into unless someone has your Mobile Midwife credentials AND your iPad AND your auto-lock password for your iPad if you utilize that additional security feature. Mobile Midwife EHR encrypts all of your sensitive data. When data is transferred between your iPad and the Mobile Midwife Cloud, 128-bit encryption SSL technology is used to encrypt your data. The primary way in which we exceed HIPAA requirements is simply by the technology we use. We do not offer any sort of web-based access (other than a client-access site) that are vulnerable to hackers and our software does not run on insecure devices such as laptops or desktop computers which are full of malware, spyware and viruses that capture your keystrokes, data files, cookies and take screenshots and send them to hackers. Read more about why Mac and PCs are a liability to your practice. Mobile Midwife EHR is unique from all other EHRs in that we provide unlimited view access to all your records even after you discontinue your account. We will not delete records from our system for 25 years from the date of the record creation. So, if you discontinue service you can still log in anytime using the Mobile Midwife EHR app to view any of your records. We also provide a very robust export feature so you can safely export an entire client chart with all documents, images and data to a password protected PDF. It is our official policy that you own the data. That means you can request at any time for us to delete all the data for your account from our system and we will. Also, as per our policy and HIPAA requirements we will not look at any of your data for any reason except to provide you with technical support when you request it.